Who doesn’t love a Caesar salad (with or without the anchovies)? This is the first time I’ve seen rice added though. Even without adding some cooked chicken or salmon it would be a meal in itself. 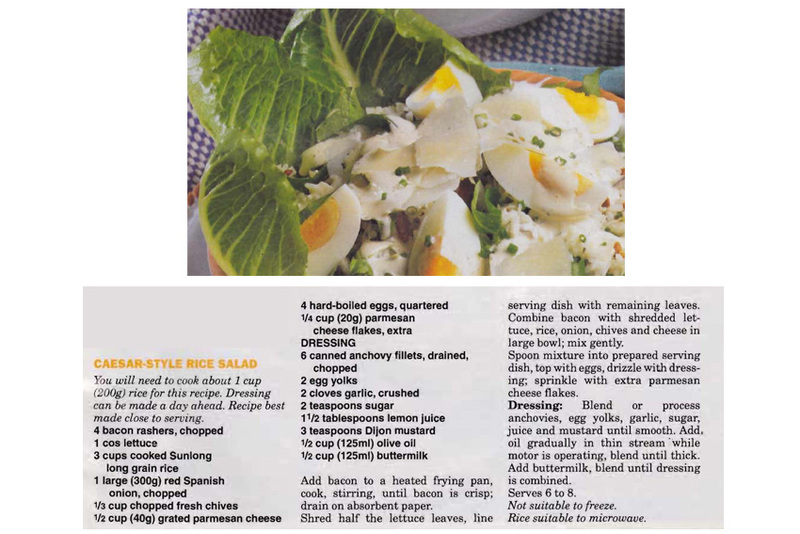 This entry was posted in All Recipes, Salads & Vegetables and tagged 1990s, anchovies, bacon, buttermilk, caesar style rice salad, cos lettuce, eggs, mustard, red onion, rice by bebsrecipes. Bookmark the permalink.